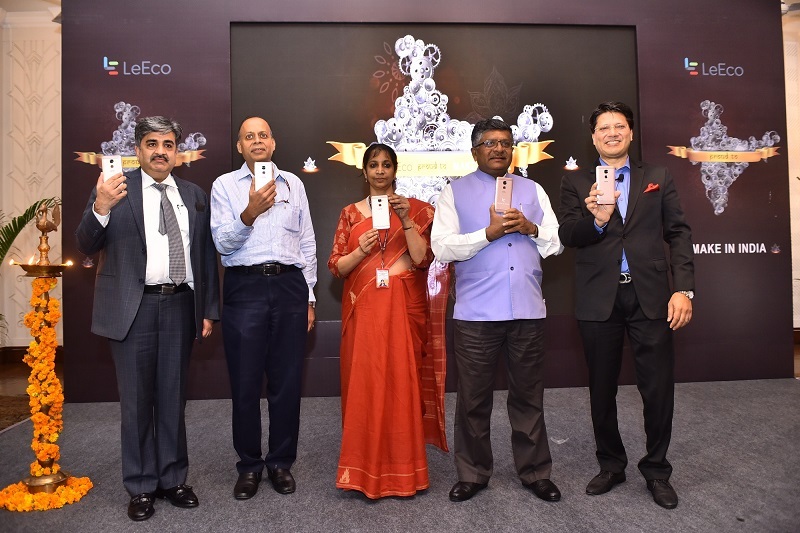 August 31, 2016:Today is a double celebration for LeEco India. Within just 8 months of operations in India, the global internet technology conglomerate proudly announced the launch of its first state-of-the-art smartphone manufacturing facility in Greater Noida, India. This swift alignment with the Government’s Make in India initiative is a reaffirmation of LeEco’s commitment to India and its long-term plans for the country. The facility has been set up at a significant investment of5 million USD and a further 2 million USD has been earmarked for the automation process. Based in Greater Noida, the facility is spread over an area of 200,000 sq. feetand has a capacity of producing close to 60,000 phones per month initially.LeEco plans to rapidly ramp up the productionto approximately 200,000 Superphones per monthby the end of 2016. This facility will now ensure that users get the same quality of products manufactured locally at better price. LeEcois already employing close to 200 skilled employees at the facility andas it scales up manufacturing, it plans to ramp up this number significantly.This initiative will be key to fostering innovation, protecting intellectual property and enhancing skill development.